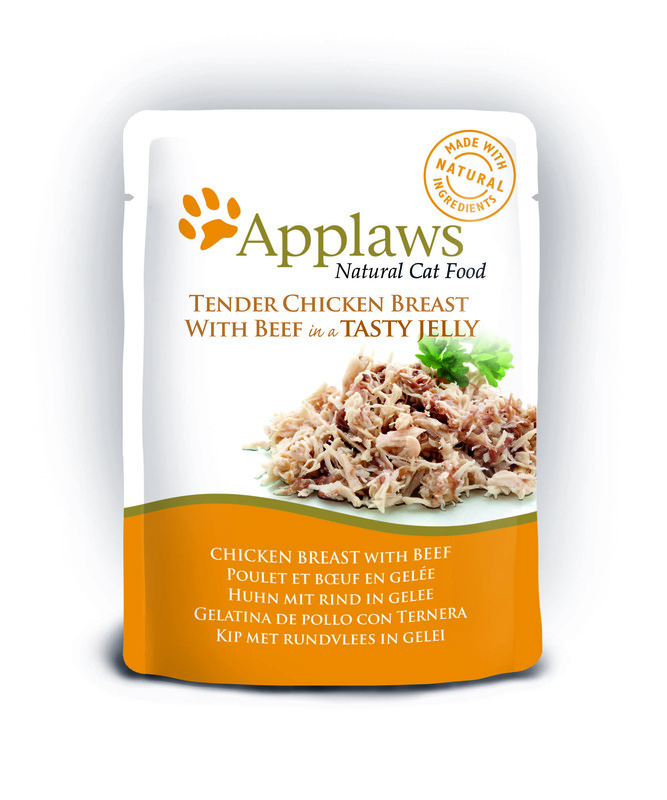 Applaws have produced this range of food to suit cats which enjoy their food served with jelly. Each pouch contains an outstanding content of 55% prime cuts of chicken or tuna with absolutely no fillers. You can be certain that all the ingredients in every meal are completely natural and taste great. Every foil pouch is sure to be a hit with your cat every time. Chicken breast 55%, Beef 7%, Vegetable gelling agent 1%, 37% Water. Chicken breast 55%, Lamb 7%, Vegetable gelling agent 1%, 37% Water. Chicken breast 55%, Chicken liver 7%, Vegetable gelling agent 1%, 37% Water. Tuna whole meat 55%, Mackerel 8.5%, Vegetable gelling agent 1%, 35.5% Water. Tuna whole meat 55%, Vegetable gelling agent 1%, 44% Water. 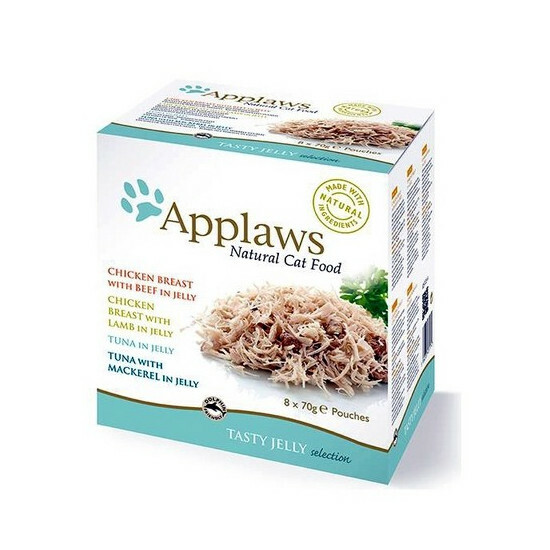 There are currently no questions for Applaws Natural Pouches in Jelly Cat Food - be the first to ask one!